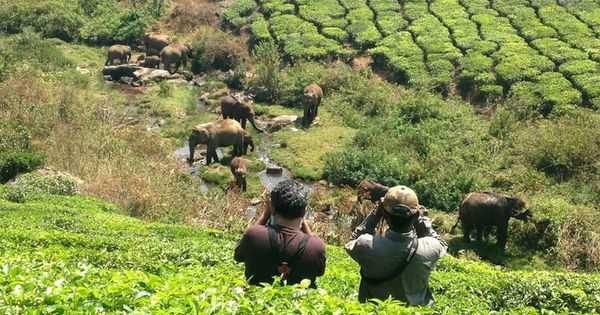 The hope they kept alive in their hearts for more than quarter of a century is diminishing. Carrying the burden of the community’s history marred by six enforced exoduses – the first having taken place in the 14th century under Shah Mir (an invader and the founder of Muslim rule in Kashmir), we nurtured the hope that our predicament would end soon and that we would see happy times once again. “For us, history had stopped,” says Primo Levi about his time in Buna (a sub-camp of Auschwitz). For over quarter of a century, we saw the end of history, too. A people whose history dates back 5,000 years saw history stop yet again when, for the seventh time, they were banished from their land in 1990 and condemned to live miserable lives in exile thereupon. The land that for centuries had welcomed and sheltered zealots, scholars, mystics, conquerors, missionaries, atheists, agnostics and warriors, and allowed them to profess and practise their ideas and beliefs, had no place for its original inhabitants any more. 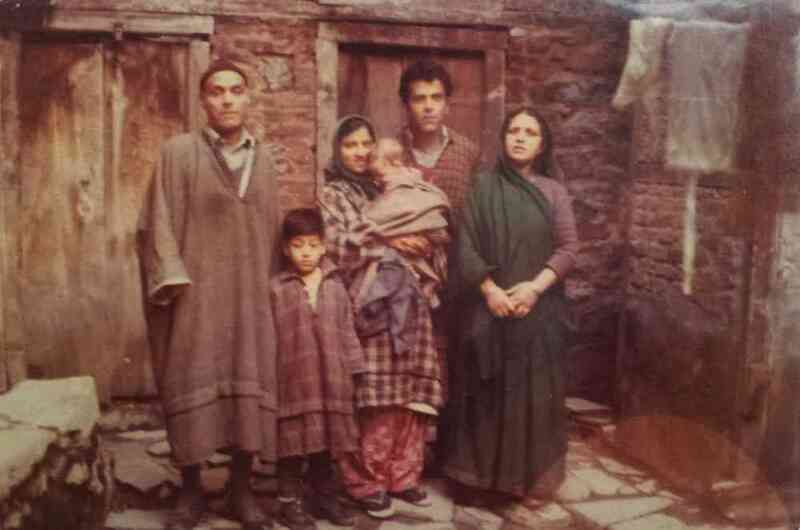 Thousands of Kashmiri Pandits have perished since then because of disease, deprivation, homelessness and alienation. Looking at photographs of Jews deported from their homes and made to suffer in Nazi camps, I am reminded of the horror I encountered in camps. Very few photographs of our “camp life” exist today. Whatever little people possessed got destroyed. In camps, there was no room for people let alone for things essential for human survival. Time, space, memory, home and relationships assumed different meanings altogether. The last 29 years have been the darkest period in the history of our community. Some are still languishing in darkness because they remain in camps, waiting to go back to Kashmir. But most are resigned to their fate. The hope they kept alive in their hearts for more than quarter of a century is diminishing. They don’t even know what to go back to if at all they get to go back. Nothing remains of their homes where once they flourished and dreamt of living and dying. Not even ruins. On the New Year’s Eve 2018, when people were reflecting on the year gone by and the year to come, my father, who lives with my mother in Jammu, sent me a photograph I had never seen in my life. My great-great-grandmother looks at me with wonder in her eyes as though she is about to reveal the deepest secret of her life. I can’t take my eyes off her. Diamond-shaped gold ornaments are dangling off her large earlobes. She’s wearing a headgear and smiling an enigmatic smile. Next to her is another woman – a sibling or a close relative. A child, aged three or four with glint in his eyes, is throwing me an inscrutable smile. There are more people around the two women and the child, but they are outside the frame. What might have happened that day, and later in the life of my great-great-grandmother? What’s she hiding in her heart? Thus begins the quest to decipher the woman I have never seen in my life. I want to know everything about her. Who she was? What she did? How she lived? How she died? I want to know about her children and grand children and sons-in-law and daughters-in-law. The mysterious look in her eyes betrays her awareness about me. The people in the photograph come alive. She’s at a wedding a hundred years ago. Women are singing a wedding song. They whirl around the bride and take turns to be at her place – the coveted place in the centre of a colourful sawdust circle made by the bride’s uncle. They kiss foreheads. A man throws a handful of marigold petals up in the air. He blows a conch to announce the bridegroom’s arrival. Under a yellow umbrella, and ushered by seven aunts and six uncles (one died while crossing a river), the bridegroom steps into the courtyard. He is wearing an embroidered headgear and a garland of cardamom pods. The eldest uncle blows the conch seven-and-a-half times. The groom lifts the veil of marigolds, and shows his youthful smile. He is wearing a coat – the same tweed coat his father wore on an excursion to Verinag, the holy spring from where the Vitasta flounces. The chorus goes on and on. In the courtyard, honeybees flutter over hyacinths floating in a pond. A matriarch steps forward, kisses the groom’s forehead, and applies a vermillion tilak on it. A girl comes out of hiding to dance. This isn’t the first time I have seen the little girl. Next to her is a young man with a mole on his chin, and a beautiful woman with a scar on the bridge of her nose. Their belongings are packed – a bundle of clothes and kitchenware. Behind them are the petrified shadows of people. They are leaving for good. Where are they going? The air is burnished with camphor fumes. Camphor fumes remind me of death. With heavy objects tied to their ankles, these people are thrown into the river by the persecutors. The sacred threads are removed from their bodies, fed to flames and the ashes are buried deep into the ground in order to erase the traces. The pockets of these hapless people are emptied. Some of these people plunge into the Vitasta to evade death. The only two people who survive are a woman and her infant son. Carrying her son in her arms, the woman scrounges for refuge in a distant land. When she falls asleep, she dreams of a spring amid a cluster of huts and windmills. Fountains of water gush forth from the spring. She rushes towards the spring to quench her thirst. On the first day of the New Year, when the light of dawn lit up the photograph in front of me, I read my father’s letter. For 25 years, you kept asking me a question. I brushed it aside and told you anecdotes that no one knows. Truth – plain and simple, like spring water. I can’t hold it any longer. Balak Ram Gigoo, my great-great-grandfather, owned a provisions shop in Srinagar, Kashmir. His son was Gulab Ram Gigoo. 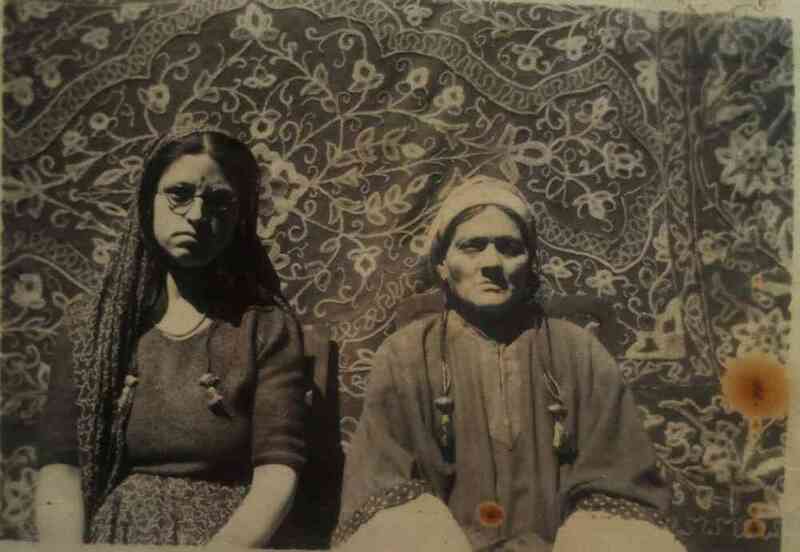 Balak Ram’s sister Sangri Devi was the wife of Sudarshan Mian who lived at Rainawari in Srinagar. Gulab Ram Gigoo managed the estate of Ved Lal Dhar who owned lands and orchards. His monthly salary was 90 rupees. Ved Lal Dhar used to give him seventy maunds of rice and fruits a year. Gulab Ram spent his whole life as the manager of Ved Lal Dhar’s estate. He used to visit Maharaja Pratap Singh who respected him. Once one Dr Bal Krishen took him to Allahabad to meet Moti Lal Nehru. The two stayed in Anand Bhawan for five days. Actually Ved Lal Dhar had asked Dr Bal Krishen to do so. Gulab Ram knew Arabic, Persian and Urdu. He had studied the Quran, and Persian and Urdu poets. The family had a domestic help named Krishen Das who served the family for 30 years. He looked after the two cows, made butter and ghee and, at times, distributed these among the neighbours. There was a big piece of land adjacent to the house in which Krishen Das used to grow vegetables and fruits. Whenever Gulab Ram went to the orchards he got fruits in abundance for the family, relatives and the neighbours. One day, at the age of 69, Gulab Ram died suddenly while smoking the hookah in an orchard. He had two sons, Madhu Ram Gigoo and Nand Lal Gigoo. Madhu Ram Gigoo was born in 1893 in Srinagar, Kashmir. He studied up to matriculation in Biscoe School, Srinagar. He was a good swimmer who had swum across the Wular lake twice and was awarded by Tyndale Biscoe. After passing matriculation Madhu Ram Gigoo learnt laboratory work from one Dr Doon who had come to Srinagar from London. Tyndale Biscoe had asked Dr Doon to take Madhu Ram as an apprentice. The boulevard had been constructed. Dr Doon constructed a house at the foot of the Shankaracharya hill. He opened a clinical laboratory in a room of the house. Madhu Ram used to go there every day. He was fluent in English. Two brothers Dr Nev and Dr Alter came from London. Dr Nev became so popular in Srinagar that people called him “Nev God”. He was very kind towards all and treated his patients with love, understanding and compassion. All the Englishmen were Christian Missionaries whose mission was to convert people to Christianity. Dr Alter made Madhu Ram Gigoo read the Bible and cram psalms, and took him to the Church on Sundays. Then one day Dr Alter asked Madhu Ram Gigoo to embrace Christianity. He told him that he would be able to visit all the places in the world. Madhu Ram Gigoo converted to Christianity in the Roman Catholic Church in Srinagar. He was given the new name Michael Bhan. That day there were festivities in the courtyard of the Church. Christians became happy and celebrated the event. 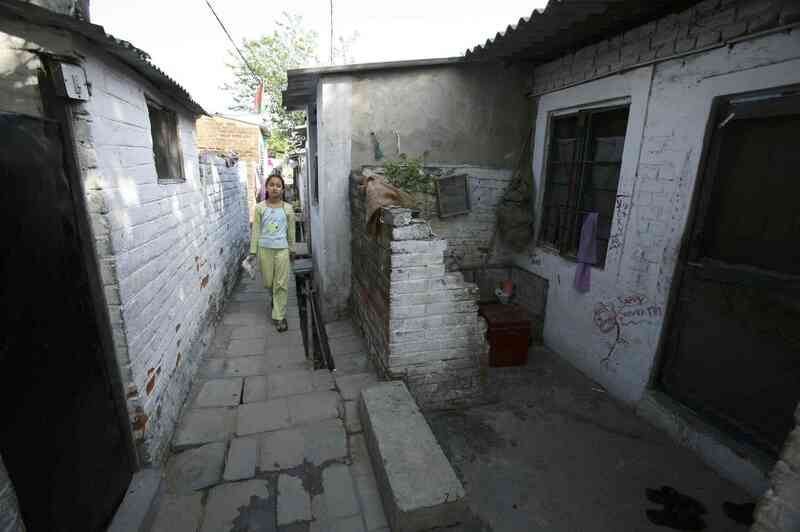 Four English ladies and a Muslim from Bihar came to Madhu Ram’s house at Khankah-i-Sokhta in Srinagar. Madhu Ram’s wife, Dhanawati, and mother were there. One day Madhu Ram Gigoo told the members of his family that he would go to the house of his mother’s parents in Rainawari and stay there for four days. But he told his grandmother that he was going to Punjab in connection with his job. He went to Kabul, Sialkot, Peshawar and some other places by bus. In Afghanistan he went to a tribal area where he met the head of the tribe. From there he went to Rome and met the Pope. He studied Christian literature there and learnt Greek and Latin. He went to Denmark, Switzerland, Turkey and other countries. In Turkey he met Mutafa Kemal Pasha Ataturk and those who were leading Turkey towards modernity. He wrote a book, The Snake in Kashmir, which was published in Rome. 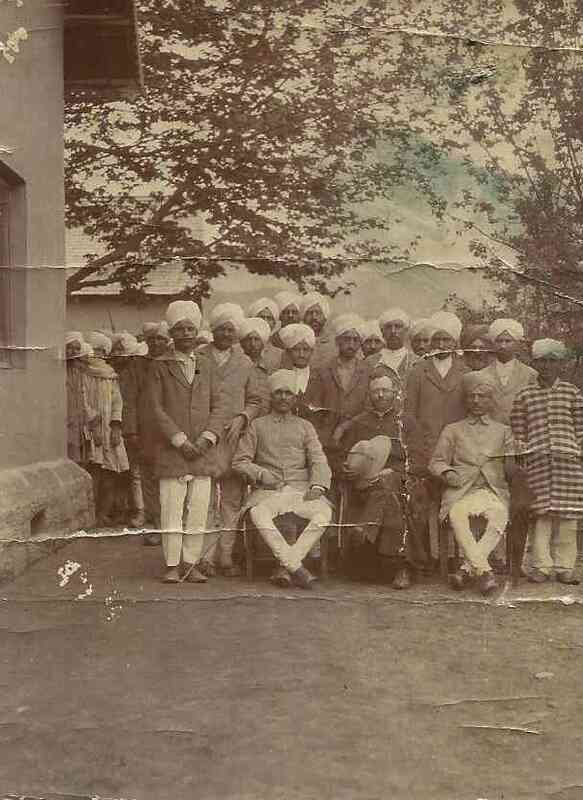 On the orders of the Maharaja of Jammu and Kashmir the book was banned in Kashmir and its copies were burnt on the road. Madhu Ram Gigoo came back to India and stayed in Mumbai where he met Mrs Anne Besant. Anne Besant asked him why he had converted to Christianity when Hinduism was vast. She asked him to learn Sanskrit, read the Hindu scriptures and then re-enter the Hindu fold. There Madhu Ram Gigoo met KM Munshi, Leelawati Munshi, Rahul Sankrityayan and many other Sanskrit scholars. He spent some months in the company of such persons. Then he returned home. Three years had passed by then. The news spread in the city. One day Pandits assembled at Rughnath Mandir, called Madhu Ram Gigoo and asked him to explain why he had converted to Christianity. He replied: “I did what I wanted to do.” He did not listen to Dr Bal Krishen, Ved Lal Dhar, Hargopal Kaul and all others, including the secretary of Maharaja Pratap Singh. Such was his stubbornness and arrogance. After some days he was asked to present himself before Maharaja Pratap Singh in his court. The Maharaja, on the advice of some influential Pandits, asked him to give a written apology. Madhu Ram Gigoo held the pen in his toes, signed the document, left the court and came home. After some time Diwan Munshi Dass got him appointed Food Inspector and was posted in the government hospital. After some months, Madhu Ram Gigoo met a Pandit Sanskrit scholar at Ganpatyaar and asked him to teach him Sanskrit grammar and the Hindu scriptures. He studied the elementary Sanskrit learning books by Damodar Satwalekar and Panini. Then he devoted time to the study of the Vedas, the Gita, the Upanisads, other scriptures and the commentaries on them. He memorised the Rig Veda. It took him four years to do so. He studied Persian and read books written by Urdu and Hindi writers. He studied the Quran under Maulvi Abdullah who lived at Nawab Bazar in Srinagar. Madhu Ram Gigoo became an ardent Arya Samaji and introduced Vedic philosophy to the family priest Lassa Bhayu. He directed Lassa Bhayu to go to Ladakh and convert the people of that place to Arya Samaj. Two persons laid the foundation of Arya Samaj in Kashmir: Janki Nath Vidyarthi of Habba Kadal and Madhu Ram Gigoo. They used to go to the Mughal Gardens on Sundays, deliver lectures and propagate Vedic thought. They were against idol worship and abstained from eating meat. On some days Madhu Ram Gigoo went to Kheer Bhawani (Tulamula), made speeches and was beaten for propagating a thought that did not believe in idol worship. One Gowri Shanker gave to Madhu Ram Gigoo and Janki Nath Vidyarthi a place to carry on the activities of Arya Samaj and to arrange meetings of the persons inclined towards religion. Discussions were held there about Vedic dharma and social reform. 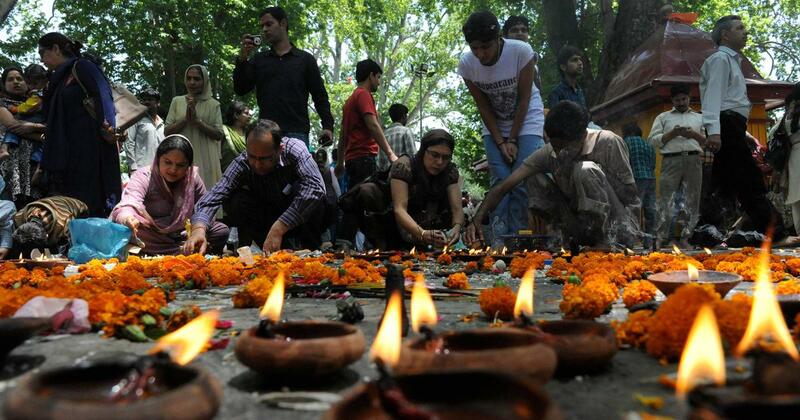 The aim was to free the minds of the Pandits from outdated customs and rituals. One Maulvi Ahmad Shah was taught Sanskrit and Hindi. He studied the Hindu scriptures. In 1934, Rabindranath Tagore came to Kashmir and read out poems from his book Gitanjali in the auditorium of SP College. He also danced on the dais. Then he met the poets, writers and intellectuals of Kashmir in the house of PN Kaul Bamzai. Mahjoor, Master Zinda Kaul, Gwash Lal Kaul and all the luminaries of Kashmir were there. Madhu Ram Gigoo introduced himself to Tagore as an Arya Samajist. 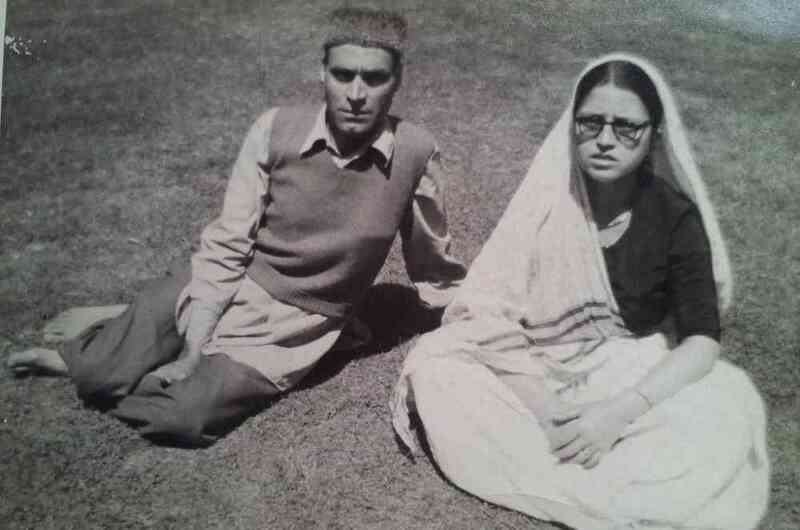 Madhu Ram and Janki Nath Vidyarthi used to walk through the streets and roads of Srinagar with torches in their hands during nights and shout at the top of their voices: “Back to Vedas. Vedic dharma is the best.” Then they delivered lectures at various places and read out passages from Swami Dayanand Saraswati’s Satyarth Prakash. This continued for a number of years. They read books written by the great Arya Samajists of Punjab and Gujarat. Madhu Ram Gigoo and Kashyap Bandhu worked tirelessly for social reform. They saw to it that the Pandit women gave up the complicated pheran and wore sarees. The people did not take it lightly but reacted vehemently. Madhu Ram got in touch with the Arya Samajists in Punjab and Gujarat who came to Srinagar and held talks with him on religion, Indian culture and social reform. Anand Swami (Khushal Chand, editor of Milap) along with other Arya Samajists used to come to our place at Khankah-i-Sokhta, Nawa Kadal, Srinagar every summer. KM Munshi and Leelawati Munshi came to our home when the former was the governor of Maharashtra. 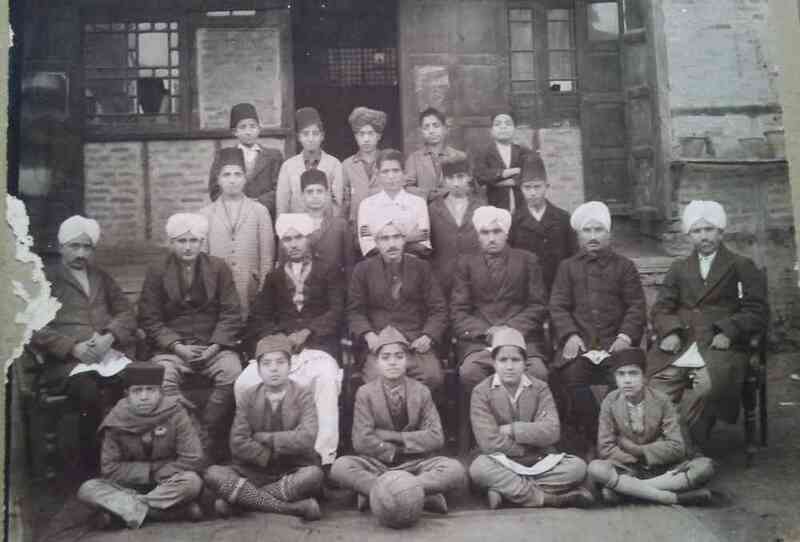 He used his influence in Punjab and saw to it that Dayanand Anglo Vedic College was established in Srinagar in 1944. Dr Sri Ram Sharma was appointed the principal of the college. Every Sunday he went to Arya Samaj at Hazuri Bagh and conducted the hawan. He was made the president of Arya Samaj, Maharaj Gunj. He got some Pandit widows remarried. Madhu Ram Gigoo retired from service in 1950. He opened a clinical laboratory at Maharaj Gunj in Srinagar. He named it Imperial Clinical Laboratory. It was the first pathological laboratory in the state of Jammu and Kashmir. He passed away in the National Hospital in Srinagar in 1868 after a brief illness. Netra Pal and other Arya Samajists performed a hawan. Throughout his life Madhu Ram Gigoo had utter contempt for the complicated rituals performed after the death of a person. I found 14 rupees in the pocket of his shirt when he died. In the pale winter morning in Delhi, a bright star appeared in the sunless sky, and it was my turn to figure who I was and where I had come from. A descendant of the child in the photograph my father sent me is still languishing somewhere in exile. Years from now, people will look at the photograph and know that we existed and were a happy lot before being blotted out. It will be the proof of our existence when everyone tells us we never existed. The photograph conceals another startling truth. A century ago, a woman bartered her future for her great-great-grandchild’s survival and happiness. The great-great-grandchild, until now, had forgotten his origins and that his happiness had come at a cost. How am I to reconcile the torment my elders faced in a barren wasteland where they perished without remembering their agony and the enormous loss they had been made to suffer? How am I to save myself from obscurity? How am I to go on and on without history? 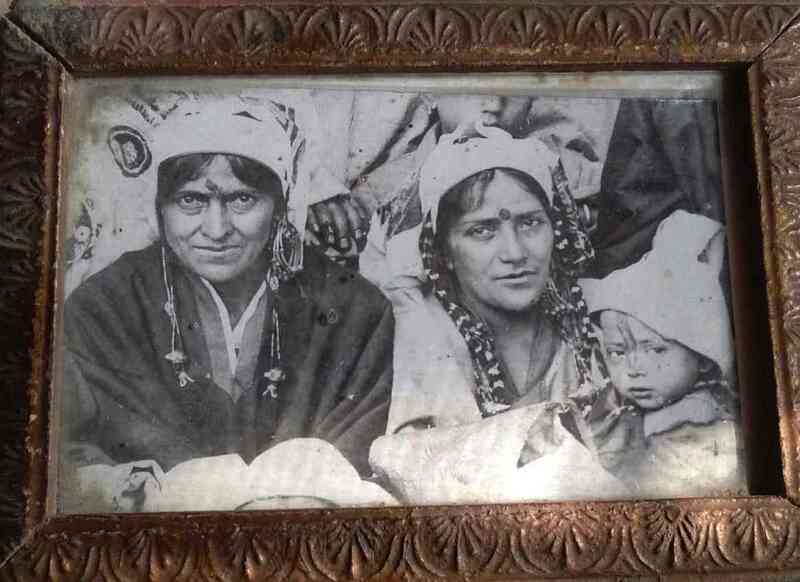 Years from now, photographs such as the one Nancy Bhat and her family have preserved for more than a hundred years will hold the only clue to the solitude of Kashmiri Pandits. Siddhartha Gigoo is a Commonwealth Prize-winning author.